WATERTOWN — In her stirring speech last month at the Golden Globes, Meryl Streep underscored how much Donald Trump’s march to the White House has rekindled the spirit of resistance among many artists and writers. Arranged by the late Hungarian-born playwright George Tabori, “Brecht on Brecht’’ is a smart and trenchant collage of excerpts from writings by German playwright-poet Bertolt Brecht and songs he cowrote with composers Kurt Weill and Hanns Eisler. In a coproduction by New Repertory Theater and the Boston Center for American Performance, director Jim Petosa has made some tweaks to the piece, which was staged in New York in the early 1960s, that give it a strongly anti-Trump thrust. 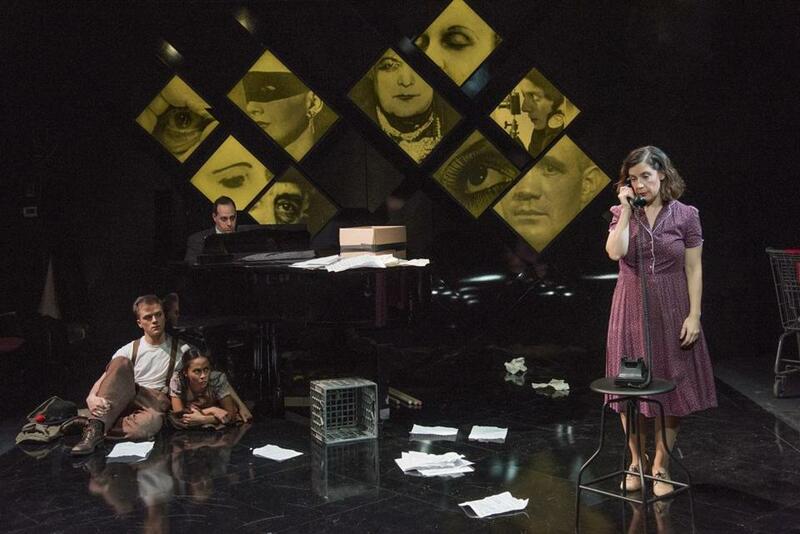 Between the songs and the spiky script — drawn from Brecht’s plays, poems, and journals — “Brecht on Brecht’’ feels at times like a small-scale companion piece to another politically charged, German-textured show that’s currently on a (much larger) local stage: “Cabaret,’’ at the Boston Opera House. “Cabaret’’ is among several previously produced theater pieces that have gained fresh relevance in the wake of Trump’s ascent. A stage adaptation of George Orwell’s “1984,’’ which was performed at Cambridge’s American Repertory Theater a year ago, is headed for Broadway this summer, riding the momentum of Trump adviser Kellyanne Conway’s bizarre salute to the merits of “alternative facts.’’ Last fall, Petosa directed a New Rep/BCAP coproduction of “Good,’’ C.P. Taylor’s 1981 drama about a seemingly decent man in 1930s Germany who succumbs to the pernicious ideology of the Nazis. Now comes “Brecht on Brecht,’’ which resonates in a Trumpian context as something of a call to arms, albeit one issued in the bitingly sardonic and cryptic Brechtian voice. What connects the disparate pieces are the specters of injustice, hypocrisy, and the brutal abuse of power, sometimes abetted by intellectual cowardice.